Art of Dentistry now welcomes new patients who may be experiencing bruxism, TMJ (temporomandibular joint) problems and jaw pain in Chula Vista, CA, for a comprehensive consultation. Drs. Lawrence Addleson, Douglas Campbell and David Landau are cosmetic dentists with extensive experience in treatments that improve oral function, occlusion and smile esthetics. Drs. Lawrence Addleson, Douglas Campbell and David Landau, of Art of Dentistry, now welcome new patients with malocclusion who may be experiencing bruxism, TMJ (temporomandibular joint) issues and jaw pain in Chula Vista, CA. Malocclusion, also referred to as an “uneven bite,” is a common oral condition that can lead to a number of health concerns if left untreated. The team of leading dentists have advanced expertise in identifying and treating problems resulting from improper occlusion and oral function, and but also refined skill and extensive experience in improving smile esthetics. “Occlusion” is an oral health term describing how the upper and lower teeth fit together when biting. When the bite is balanced, teeth come together evenly and facilitate a healthy oral environment. Malocclusion is characterized by an uneven bite, and can lead to dental concerns like fractured or cracked teeth, broken fillings, wear on teeth and oral discomfort, among others. Effects of the problem range from minor to severe, and may include anything from discomfort upon chewing to the inability to close the mouth. Common causes of improper occlusion are bruxism (habitual teeth clenching or grinding), TMJ disorders, uneven chewing surfaces and tooth movement or loss. Art of Dentistry’s experienced team of doctors is trained to diagnose and treat TMJ and occlusion issues, which are often first identified by symptoms like chronic headaches and jaw pain. Chula Vista, CA, patients experiencing these problems may benefit from a customized treatment plan that specifically addresses individualized needs. The respected cosmetic dentists offer a targeted skillset and comprehensive approach to care. Drs. Addleson, Campbell and Landau incorporate the latest in advanced technology and science into improving not only occlusion and oral function, but helping patients achieve their ideal smile as well. Committed to excellence, they often collaborate with the area’s top specialists to bring a high level of care to their patients. New patients who have concerns about occlusion, bruxism, TMJ or jaw pain in Chula Vista, CA, are encouraged to call Art of Dentistry at 619-291-4325for an appointment with Drs. 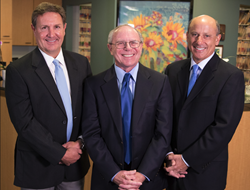 Addleson, Campbell or Landau, or visit http://www.sandiegoartofdentistry.com to learn more about their services.